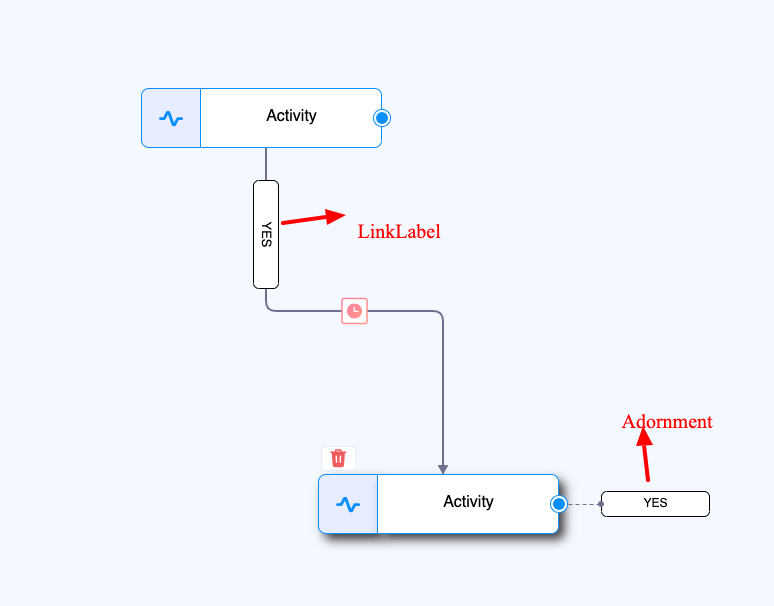 How can I control the overlapping of Link Labels with any node, adornments and Links. Your description is confusing. My guess is that you want to set your link label segmentOffset: new go.Point(0, -20), or perhaps to a different offset. Sorry for confusing. Yes you are right I should change the offset of the LinkLabel. 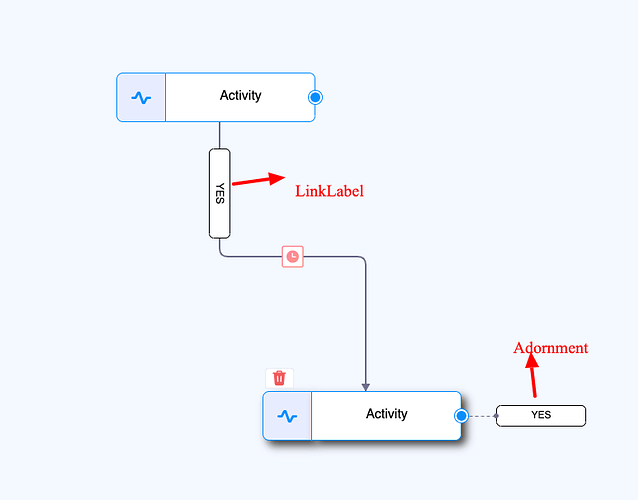 But I want the Link Label offset to be changed dynamically. (for eg. It should be (0,0) every time but if incase the link is shorter in length then the Link Label should change its offset dynamically.) please refer above images for example. It is not possible to specify that behavior by setting some properties. I think you would need to define a custom PanelLayout for Links. Perhaps it would be easier to prevent the link from coming out the right side? fromSpot: go.Spot.NotRightSide ? Yes preventing the link from right side is good option. Thank you so much!